This hand thrown bowl is quite large and has a shallow, open profile. 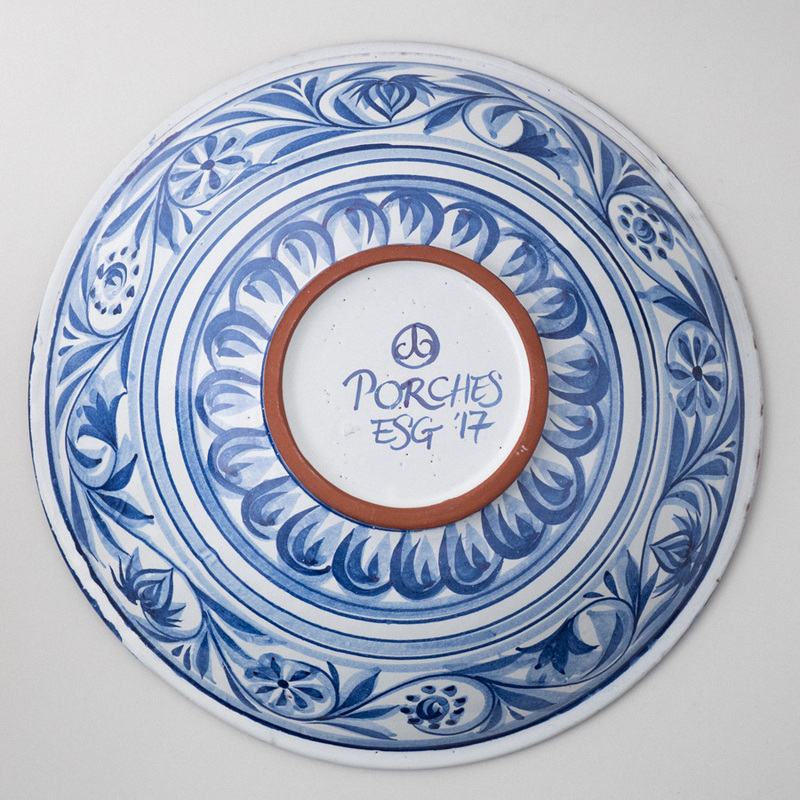 The shape is quite North African in its style, and would be perfect for serving cus-cus dishes, or as a fruitbowl. 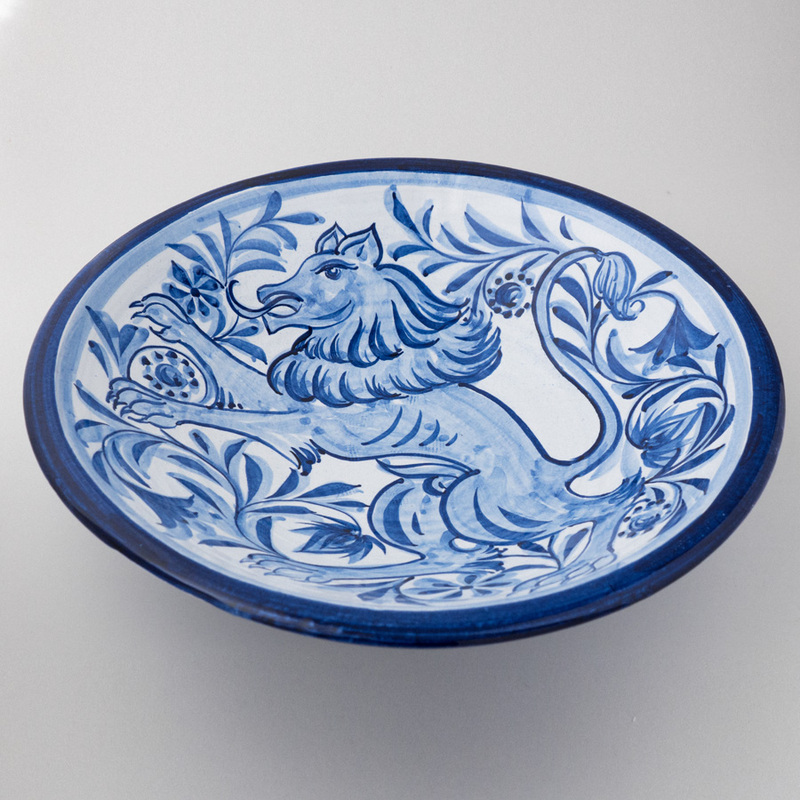 Beautifully decorated with a rampant lion in a deep, rich cobalt blue by Estella Swift Goldmann, this dish would be just as happy decorating a table or set in a plate stand. 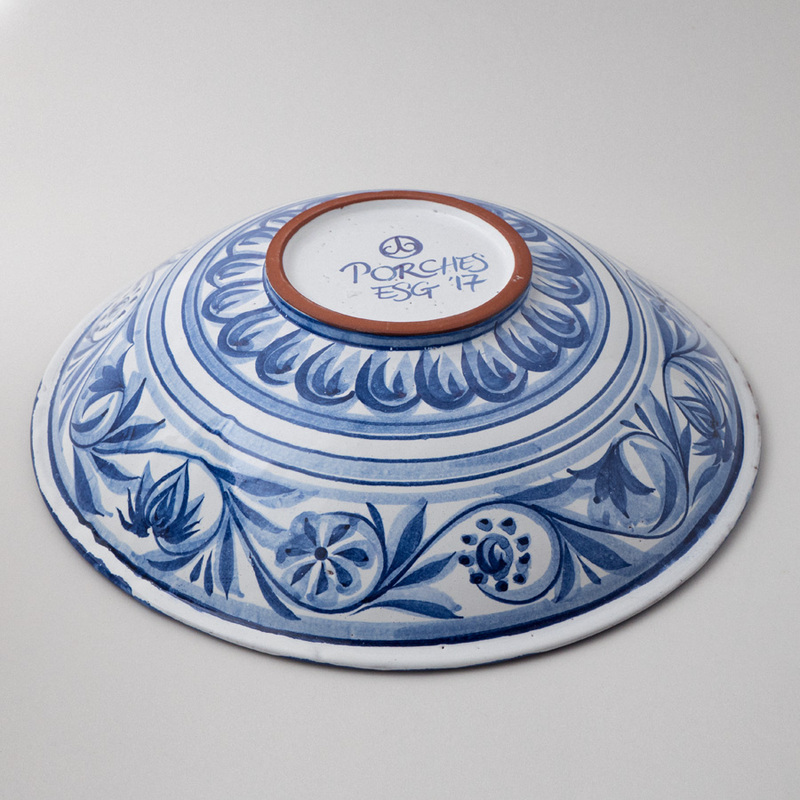 The plate is equally interesting on its underside with a range of different symbolic flowers following a flowing meander. 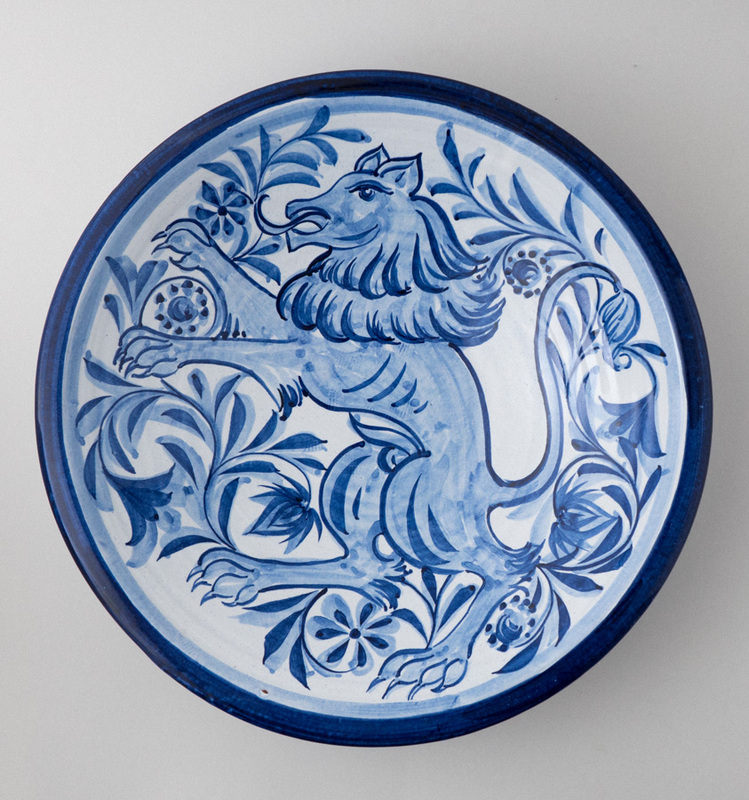 Approximate dimensions; height: 10cm, diameter: 40cm.